Welcome to Mansions by the Sea! 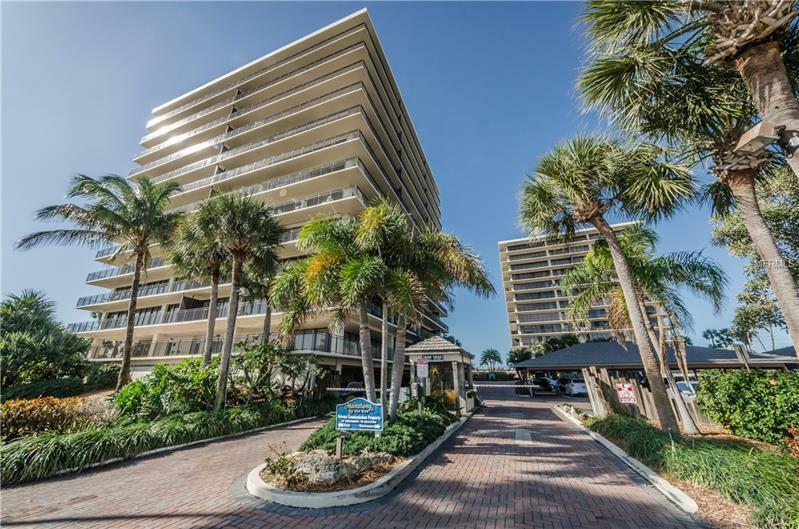 This gorgeous beach front condo has incredible views of the Gulf of Mexico and because it is a north west CORNER unit, you also have fantastic views of the inter-coastal water way! This condo has been extensively upgraded with brand new impact floor to ceiling windows and sliding glass doors that can be moved in tandem to create that in door out door living experience. Some of the other upgrades that have been done include new tile floors throughout, brand new AC system, new balcony railings and new appliances including washer and dryer! Mansions is the ultimate in beach resort style living! Located at the end of Sunset Beach, you are secluded from the hustle and bustle of Treasure Island yet close enough that you can walk to bars and restaurants. Mansions has incredible amenities that include a Gulf front HEATED pool, tennis courts, a community room with catering kitchen, large fitness center, game room, library and even two saunas! Also available parking for your boat or RV! Mansions has it all! Come see this amazing beach lifestyle for yourself!